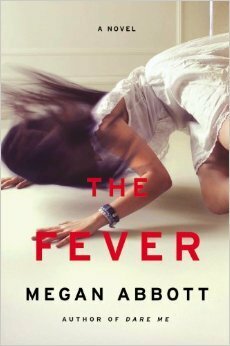 The Fever by Megan Abbott is a book I've had kicking around on my Kindle for a very long time. In fact I had completely forgotten about it until I went to update my reading app and boom there was the cover in all its glory. I can't really say why I never read this one but I guess better late than never as they say. Unfortunately, The Fever turned out exactly opposite of what I was expecting based on the premise. Instead of Salem Witch trials meets Pretty Little Liars the story read like Fear Street meets Mean Girls. I know what you're thinking "That sounds awesome!" but it really didn't come across that way. Instead of all the horror and mystery I was anticipating it was a story mostly about drama centered around one in particular "hot boy" that every girl is obsessing over. Sure the competitive nature of teenage girls was highlighted nicely throughout the story but I can't say it was enough for the reasons all the events in this story take place. Also, beyond the character Skye whose actually described pretty in depth, I had a really hard time telling the other girls apart. Their was the girl with the long legs and the other whose loss of baby weight was always highlighted for some reason. Then the brown noser who was a year younger than all of them and the other girl who was important but I only remember her as miss third wheel. Seriously, I cannot really remember anything of note about any of the girls except what I described above. Now although The Fever was a bit lackluster for me, I did actually enjoy some things about the story. The first thing was the way the adult characters were written. Although not the central focus, when they were in the scenes they kept me entertained. It's really rare having adults not treated as incompetent imbeciles by the young protagonists. Having adults actually care about what is taking place while not overstepping their roles as background characters was actually endearing to me. I also liked the mass hysteria element. I won't get into much detail about it to avoid spoilers but the reasoning behind it all actually made a lot of sense. All in all was The Fever worth reading? Yes & No. I enjoyed the writing and getting to see the various view points as the story unfolded and the world building was decent. On the other hand the generic female characters and the ending(A slap on the wrist. C'mon now! 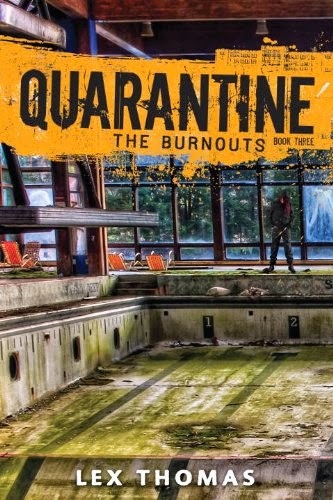 )kept me from being wholly satisfied with the story . So in short while I might not have fallen in love with this book as many others have, I didn't hate it so I guess that's positive. With that being said, I'll be rating The Fever by Megan Abbot ★★★. *Review copy provided by publisher via Netgalley . All opinions are my own and I was not compensated in any which way for providing them. Megan Abbott is the Edgar-winning author of the novels Queenpin, The Song Is You, Die a Little, Bury Me Deep, The End of Everything, Dare Me, and her latest, The Fever, which was chosen as one of the Best Books of the Year by Amazon, National Public Radio, the Boston Globe and the Los Angeles Times. Okay so I read this one and I loved the story hated the characters. They characters were not likable at all and I think that was the point but it did take away from the story. I can do unlikable characters if they still bring something to the story and I didn't feel that they did in this one. What made me really love the book as much as I did was the why and how and who. the mystery really did it for me. Yep the how and who for the most part is what kept me reading. Definitely not the characters whom I barely could tell apart.